GigaOM presents: Mobilize "The Next-Generation Mobile Conference"
Congratulations, Judge Sonia Sotomayor, Your Successful Nomination Stands as Another Barrier Broken for Women, Hispanics and a Wonderful Day for America! Sonia Sotomayor has served as a judge on the United States Court of Appeals for the Second Circuit since October 1998. She has been hailed as "one of the ablest federal judges currently sitting" for her thoughtful opinions, and as "a role model of aspiration, discipline, commitment, intellectual prowess and integrity" for her ascent to the federal bench from an upbringing in a South Bronx housing project. WITI Advisory Board Member, Gayle Crowell Launches Conservingnow.com! Caring for the environment and our planet has long been a passion of ours and we are thrilled to introduce you to our newest endeavor in this area. We have created what we hope will be the premier destination site for a community of people just like you and me who truly care about the world in which we live. Join the Collective Conversation... Click Here for Details! I want to include a variety of tips and information in my healthy choices blog that can help you make healthier choices without sacrificing the joy of eating delicious satisfying food. In fact, I am going to share in this column my very favorite Vegan and EASY recipe that is so delicious that whenever I make it, everyone wants it again and again and again. But first, check out these stats to help us prevent so many terrifying diseases! 3. WITI Regional Network Events Coordinator (week of virtual Conference). This is a GREAT opportunity to work with one of the most knowledgeable women in the social media space, and to learn more about virtual events. From early childhood, we have developed various attitudes and belief systems about money and the way we use it in our everyday lives. The more we understand our conditioning and automatic responses, the freer we are to make appropriate decisions based on current information. Network with WITI this Summer! Retail Crime Is Costing You Money! Summer Networking Social at California Cafe! I was delighted when I learned I would be inducted into the WITI Hall of Fame earlier this year. What an honor to be in the company of so many accomplished and intelligent women! While at the ceremony, I was inspired by the passion and knowledge of so many of the people I met there. As I listened to them speak about their goals and achievements in research and technology, it was clear that I was surrounded by women who are making a difference in the technical community and using technology to change the world. Are you at an impasse and don't know what to do next in your career? Do you need the perspective of someone who's been there... and done that? Join Dr. Sandra E. Burke, a scientist with more than 40 years experience in large healthcare organizations, as she describes the ins and outs of mentoring! Aug 18, 2009 • Miami, FL • Register Now! Join us August 18th Assurant to discover the unique challenges faced by organizations, and whether compliance with the PCI DSS is necessary or if it's all too much and too costly. With industry executives saying this sector will be one of their fastest-growing markets in coming years, and analysts saying it could generate over $10 billion in contracts by 2013, this is sure to be an exciting discussion from a panel of experts. Huge savings on phones and accessories at the WITI Wireless Center! This month's specials include free BlackBerry's and waived activation fee on AT&T plans. Check Out BTQ's Newest Issue! Business Trends Quarterly's newest edition includes an Exclusive interview with Aneesh Chopra, the nation's first Chief Technology Officer! Mr. Chopra's roll is to harness the power and potential of technology to advance presidential priorities. Solutions for a New Age: SAP's On-Demand and Mobile Applications and How They are Evolving to Meet Future Needs. Make the Call: What is SIP Trunking and How Should an Enterprise Deploy It? Tools for a Road Warrior: Maximizing the Global Benefits of Unified Communications. Immediate Network Savings: An Opening to a True MPLS (Multiprotocol Label Switching) Network without the Highest Price of T1 Lines at all Locations. The Politics of Data: How to Govern Efficiently. Step into the dynamic forum where business strategy experts and IT decisions makers unite to analyze existing enterprise systems and challenges from an IT solutions standpoint! Your access to cutting edge trends and up to the minute information is only one click away... at http://www.btquarterly.com. 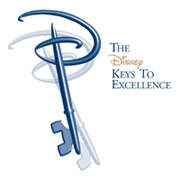 Join WITI @ Disney Keys to Excellence in September! The Disney Keys to Excellence program and the Disney Keys to Inspiring Creativity program are rare and affordable opportunities to learn best business practices from Disney insiders, and discover ways to easily and immediately adapt and apply those best practices to pick up the pace in these slow economic times. Professional development doesn't cost - it pays. It pays by creating a framework of focused energy in a vacuum of uncertainty. It pays by helping an organization gain share in a slow economy. It pays because it has been proven to strengthen employee morale and retention, which will be critical to emerge from tough times. IMPORTANT: Please use promotional code WITIMNE (or WITIPNE for Indianapolis) to receive $50 OFF PER GUEST when registering. Additional group discounts are available. DOUBLE THE MAGIC: Register for both Honolulu events and receive an extra savings of $35 per event. Join WITI @ 2009 San Diego Cloud Computing Conference! Industry leading speakers will help you to separate myth from reality, while exploring both the opportunities and the challenges within the cloud. 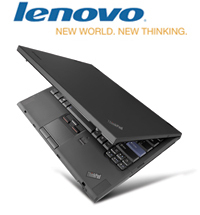 You will gain an overview of the cloudscape combined with real-world examples and insightful analysis. Join your fellow technology professional's for San Diego's premier Cloud Computing Conference, September 9th, 2009 at the Marriott in Del Mar. Join WITI @ Mobilize 09! Mobilize 09 is a one-day conference that brings together the thought leaders of the next generation mobile web for talk, demonstrations and debate. Give us one day of your time and we will give you the environment to fill your mind with new insights and your address book with new contacts. We'll examine what it means to have wireless broadband speeds at the Gigabit scale and how the explosion of platforms create new opportunities beyond the traditional handset, for entrepreneurs, investors and consumers. Join WITI @ AlwaysOn GoingGreen West 2009! GoingGreen West 2009 presented by AlwaysOn, in conjunction with Morgan Stanley, Draper Fisher Jurvetson, and Scientific American will feature over 700 of the nation's leading VCs, angels, private equity investors, Greentech executives, dealmakers, academics, policy makers, thought leaders, strategic partners and traditional and digital press. Over 20,000 webcast viewers from over 100 countries will also tune in and interact with the program. This two-and-a-half-day executive event features CEO presentations and high-level debates on the most promising emerging green technologies and new entrepreneurial opportunities. At GoingGreen West, our editors will also honor the GoingGreen 100 Top Private Companies. Fifty top CEOs will also pitch their market strategies to a panel of industry experts in our "CEO Showcase." Join WITI @ Gartner's Business Process Management Summit! These days, measurable return on investment is a higher priority for every organization. That's why this year's Summit is all about getting results through pragmatic, actionable and field-tested advice. Our team of experienced BPM analysts and guest speakers will explore and explain every component of BPM - from strategy and organizational alignment to technology assessment and implementation - to help you reduce costs, optimize productivity, improve customer satisfaction and support business agility.